Casual - chick: the Vive Maria’s Piazza pants in the fashionable houndstooth pattern. 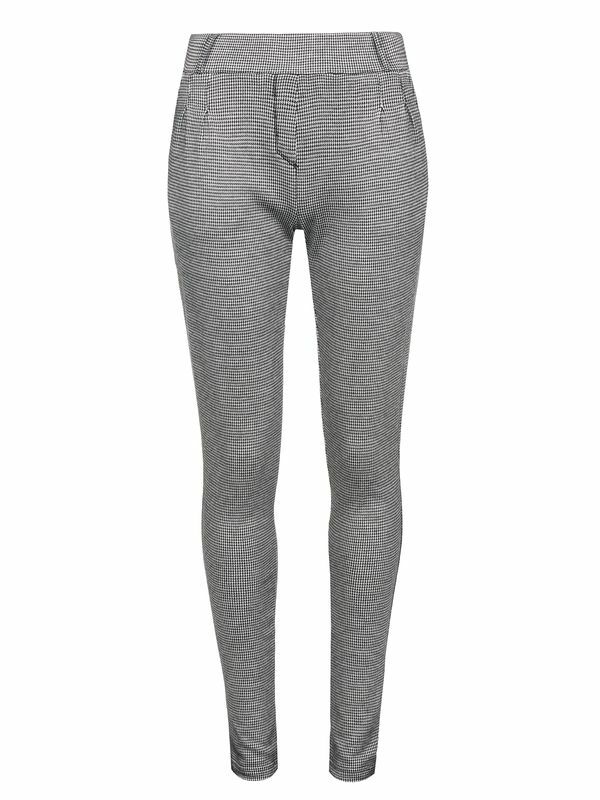 The pants are made of a soft viscose mix and cut in a modern slim fit. Side pockets and folded pleats ensure a perfect fit. The pants have a wide waistband with belt loops. Decorative pockets on the back and a side seam complete the beautiful design.